Living on a boat can make cooking a bit of a challenge, but we've somehow managed to find plenty of space for our cocktail-making needs. That said, we still like to keep things simple. When we aren't guzzling Caribbean Painkillers, margaritas are usually our drink of choice. 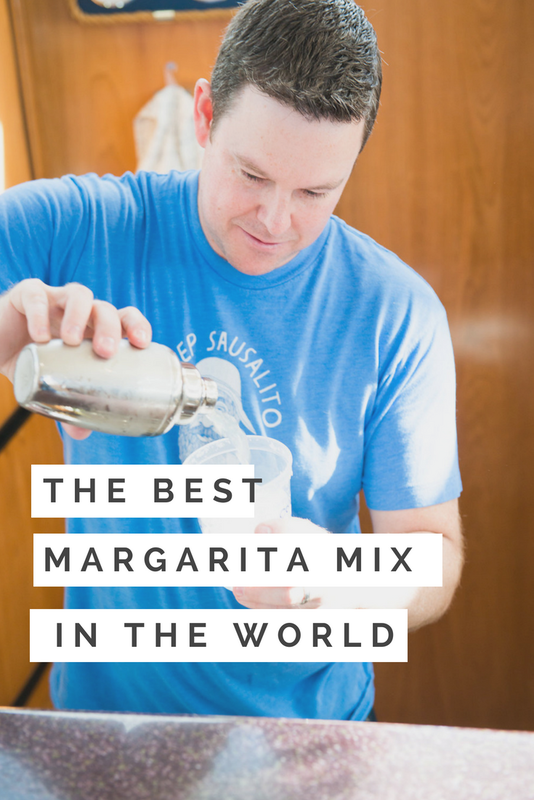 And we've searched high and low for the best margarita mix in the world. We finally found it on October 31, 2015. Halloween. Brian and I were heading to a friend's party and had offered to bring tequila. We grabbed a bottle of Patron Silver (because we're a little bit basic) and some Jose Cuervo margarita mix. But, before we were able to check out, a concerned employee stopped us. "I can't let you drink good tequila with that mix, " she said, a grave look on her face. "Come with me." She led us to the refrigerated section and handed us a bottle of Tommy's Margarita Mix. Our lives have never been the same. Our margaritas are now a little bit famous among our group of friends. And while choosing the right tequila is essential (I prefer silver, but Brian loves a reposado - try Herradura!) the mix makes all the difference. Here's our recipe for the perfect margarita. Pour two to three shots of tequila (or more if you're craving something a little stronger) and equal parts margarita mix over ice into a cocktail shaker. Shake vigorously. Salt the rim of your glass, pour your margarita in (over ice), and add a lime wedge on the side. I'll never forget that fateful Halloween night. I think about it every time I drink a margarita, which is often.